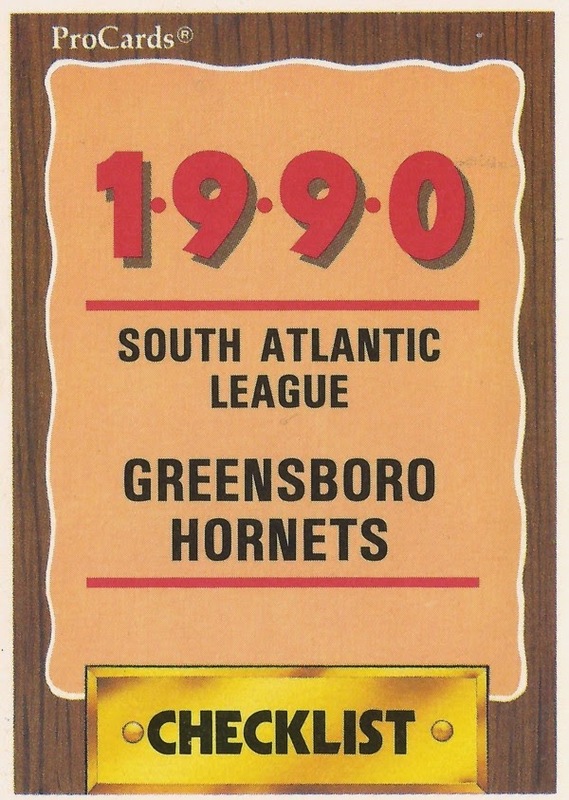 Features on each member of the 1990 Greensboro Hornets, single-A affiliate of the New York Yankees. Players featured are as included in that year's team set. Click on the player's name to read more. Rich Arena was ecstatic after a college home run. He went on to be a coach in minors and in high school. Brian Butterfield played a huge part in several careers. He did it on defense. Tim Garland's job was to get on base, help his team win. Now it's coaching. Sean Gilliam had probably his best day in independent ball. His best day in the pros couldn't get him above high-A. Jim Haller finished out a AA game, got praise. He played five pro seasons. Lew Hill helped Andy Pettitte get a AA win. He played nine seasons, never made the bigs. Sterling Hitchcock got his first major league win in a pennant race, most memorable in playoffs. Mark Hutton became first the Australian to start a major league game. John Jarvis helped his high-A team to a good start in a 1991 game. He played just three seasons. Ramon Jimenez won Batter of the Week honors in the Carolina League in 1992. He never made AA. Brian Johnson took a chance in 1996 and ran with it. Dan Johnston pitched well enough to get a win in high-A in 1991 game. He played five seasons. Dave Jorn played and coached in college and in the minors. He's now a coach at Arkansas. Ken Jurabe played five pro seasons, two after a long layoff. Todd Malone won Yankees minors Pitcher of Year in 1988. He never made AA. Bobby Munoz had starter stuff, closer stuff, too. Carlos Perez helped close out a win for Greensboro in 1991. He played in seven seasons. Rafael Quirico threw a minors no-hitter, played single game in bigs. Mike Rhodes knocked in three runs in a GCL game. He played just three seasons as a pro. Ricky Rhodes chose to stay. But his future wasn't in baseball. It was in women's basketball. Jason Robertson dealt with adversity by working harder. He never made the bigs. Scott Romano hit 'em in 11 pro seasons, but he never made the majors. Daniel Sanchez tried to help his high-A team, but it wasn't enough. He got into three pro seasons. Steve Tucker got outs at single-A but he only played two seasons as a pro. Brian Turner played seven pro seasons. He never became a prospect, never made the bigs. Ted Uhlaender was a hard worker. His daughter was, too. Aaron Van Scoyoc has passed his baseball knowledge on to his son. Unlike the other player with the same name, this Larry Walker briefly made AA, but not the bigs.